GO ORGANIC? NOW THERE’S PROOF! 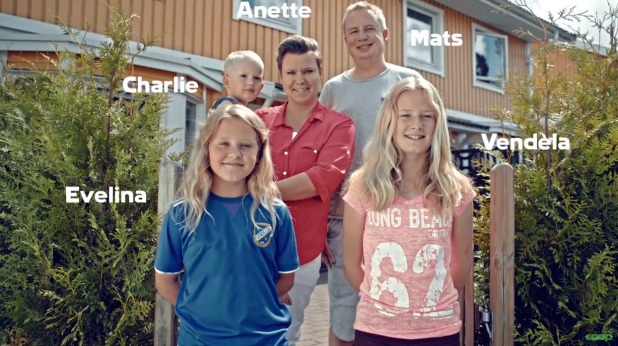 A Swedish family participated in an experiment that we can’t believe hasn’t been done before. They ate only organic food for a fortnight and managed to rid their bodies of most traces of pesticides. Sounds so simple, right? Before the experiment, middle child Evelina’s urine was showing nearly five nanograms of chlormequat chloride per millilitre. After eating only organic food for two weeks, (yep, that’s right, only two weeks) the chemical was unable to be detected in her urine sample. Article from the Sydney Morning Herald below. A Swedish family has shown just how quickly an organic diet change can rid the body of pesticides. In a fortnight-long experiment, the family of five – parents Anette and Mats, and kids Vendela, Evelina and Charlie – swapped their conventional diet for an organic one and found that just two weeks of eating an organic diet managed to rid their bodies of most traces of pesticides. The video explaining the experiment, which was conducted by Swedish supermarket Coop and the Swedish Environmental Research Institute, has been viewed more than a million times on YouTube. Before starting the diet, mother Anette explained that she did not normally buy organic food for the household. “It costs more than conventional food and we’re a big family,” she said. The researchers measured the levels of plant growth regulators chlormequat chloride, mepiquat, 3-PBA and cleaning agent TCP in urine samples taken from each family member before and after their two weeks of organic eating. Before the experiment, middle child Evelina’s urine was showing nearly five nanograms of chlormequat chloride per millilitre. After eating only organic foods for two weeks, the chemical was unable to be detected in her sample. The most profound effects were found in toddler Charlie’s samples. Despite his urine before the experiment showing high levels of all four of the chemicals, after the experiment none of the substances were detected. While the experiment clearly showed that eating organically removed traces of pesticides in the bodies of participants, previous research has questioned whether eating an organic diet is actually beneficial to physical health. An 2011 paper authored by researchers at the University of Sydney and published in Critical Reviews In Food Science And Nutrition found that the nutrients in organic and cheaper, conventional produce were comparable. The paper reviewed the results of 66 studies conducted between 1980 and 2007 which compared the health benefits of food farmed without pesticides and herbicides, and food which was farmed using conventional methods. However, they did not examine the potential effect of ingesting pesticides in their study. In Australia, the amount of pesticides used on crops for consumption is regulated by the Australia New Zealand Food Standards Code. Standard 1.4.2 of the code sets the maximum residue limit (MRL) for various types of foods. According to the code’s implementing body, Food Standards Australia and New Zealand, MRLs are “set well below the level that would be harmful, so a residue level slightly above the limit may indicate misuse but is very unlikely to pose a health risk”.